Traditional bandhni design wooden dandiya sticks for garba dance. The pack includes a pair of sticks. Measures: 15" in length approximately. 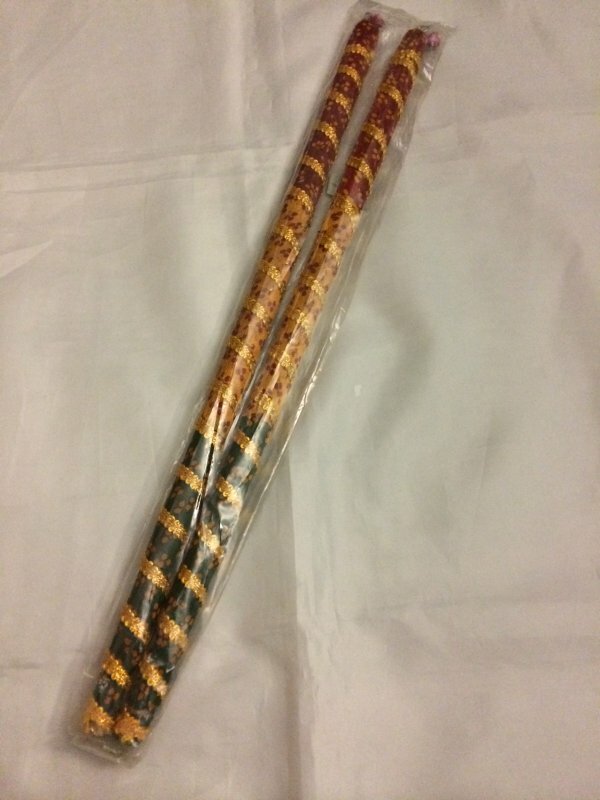 Buy Wooden Bandhani Design Dandiya Sticks, sold & shipped by Yaadein where you can shop online for Pooja Samagri, Hindu Statues, Puja Items, Religious Gifts & Home Decor. This Other Festivals collection has been tagged as Buy Dandia Sticks In Usa On Sale, Raas Garba, Gifts For Navratri, Gujarati Dance Indian Festivals, Bollywood Dancing.